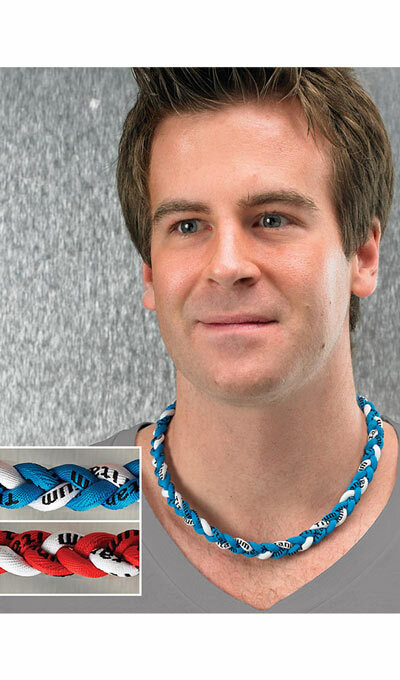 Wear this Titanium Twister Necklace like the pros! Popular with athletes, this braided fabric choker features strands of titanium believed to aid sports performance, decrease fatigue, protect against muscle injury and provide longer-lasting energy. Imported. 20"l.